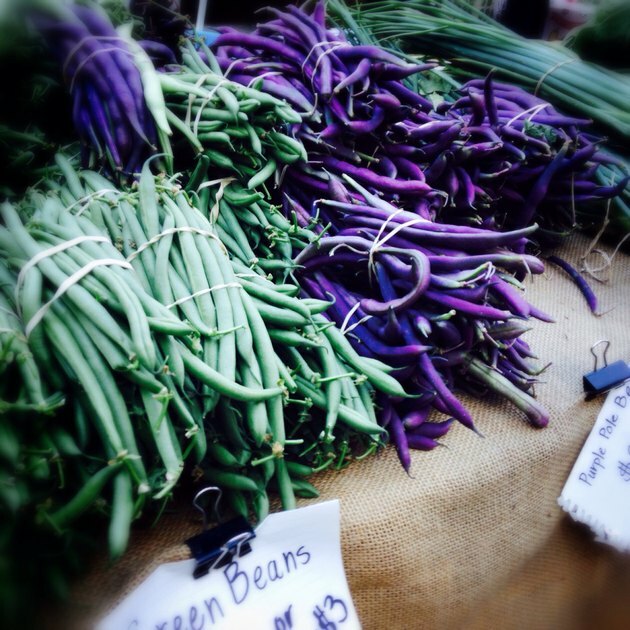 The fairy tale doesn't specify if Jack's beanstalk was a pole bean, but smart money says yes. Pole beans grow fast, and they shoot right up toward the sky, as long as there's a stake or trellis nearby for support. They take up more vertical space than bush beans, but the plants aren't as deep and wide. As vines, they climb up rather than fill out. So as you can imagine, the vertical vining aspect of pole beans make them a perfect potted plant for small spaces, like a balcony or patio garden. Gardeners love these plants at harvest times because the beans are visibly stunning to look at and easy to pluck from the vine. The key to succeeding with pole beans in containers is providing support. 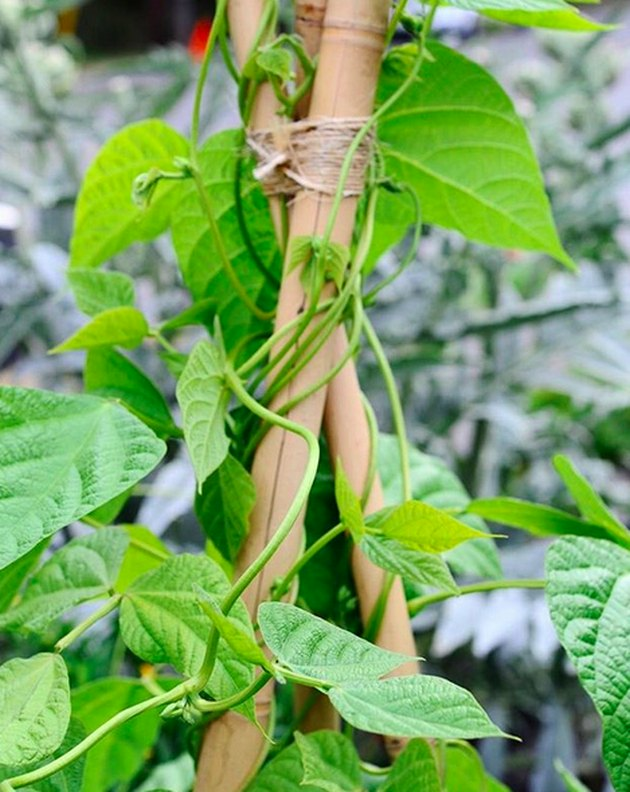 Some pole bean vines can get to over 12 or 15 feet high, making for a heavy plant even before the beans grow in. If you are using a rectangular container, install a trellis in the back. If you prefer a round container, use one at least 18 inches in diameter. For support, build a sturdy wigwam of three stakes tied together at the top. Experts suggest using a "cattle panel," a portable section of wire fence perfect for pole bean climbing. 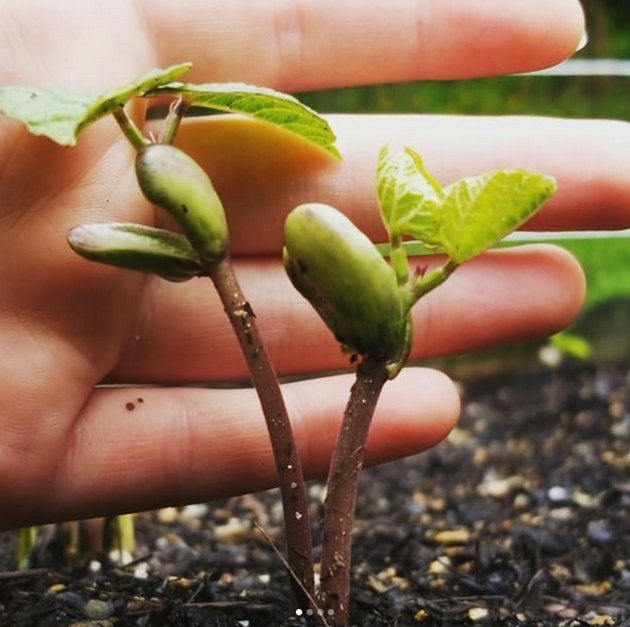 Pole bean seeds grow so readily in the garden that there is really no need to start them in pots in the house. Moreover, they often don't survive a transplant. So wait until all chance of frost is past, then plant them directly in your patio container once the weather gets warm in late spring or early summer. Situate your container in a sunny area for the biggest harvest. Pick a pole bean variety for your container. Some mature in as little as 45 days, others take a month longer. It's probably a good idea to select a pole bean that stops short of 10 feet tall, depending on your patio dimensions. One to consider: Fortex Pole Beans, a non-GMO variety producing long, stringless, delicious pods ready to eat in 60 days. For a truly gorgeous plant, look at Scarlet Runner Pole, with brilliant red blossoms followed by slender pods that ripen in 70 to 100 days. Pole beans like moderately rich soil. You can find organic potting soil for large pots, or mix up your own from equal parts potting soil and sand with a few inches of compost worked in. Sink each seed twice as deep as they are long, some one inch deep, and space them some two to three inches apart. Water, yes. Fertilizer, not so much. That's the skinny on pole bean care. Irrigation, however, is a must for pole beans from planting day through harvest. Start with a light but regular watering once you put the seeds in and keep this up through germination. But as soon as the seedlings pop their heads out of the soil, keep the soil moist at all times. They will require more water as they grow, so plan on giving them a long drink at least twice a week. The more regularly you pick, the more beans you will get. Bean pods will bulge when they are ready to harvest. They will snap off easily when they are ripe. Still, pinch or snip them off with a lot of care or you might snap a brittle branch or otherwise damage the plant. 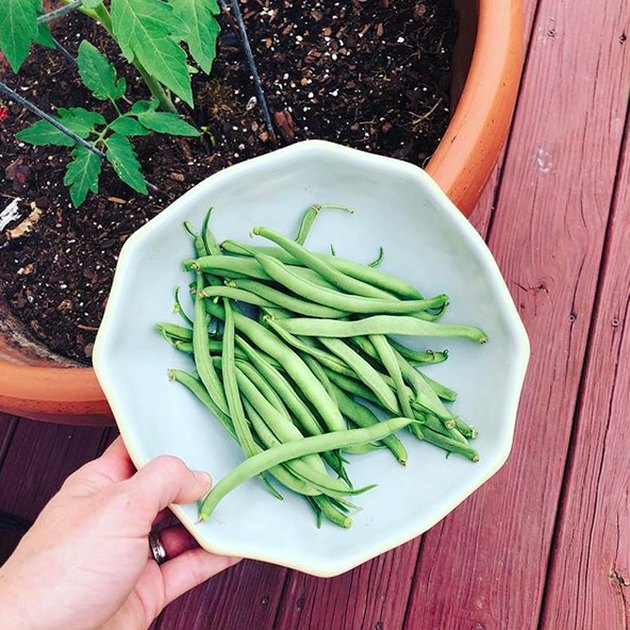 Harvest early and often to get the most beans from your plant before the growing season ends.